#Ringgit was also traded higher! Sell-off across world stock markets sent investors rushing into the dollar. 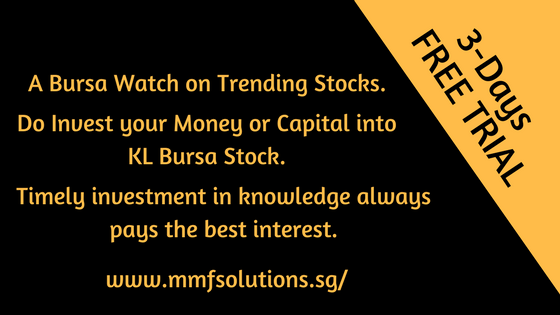 Malaysia: The ringgit opened higher against the US dollar today on renewed buying interest and amid the better performance of Bursa Malaysia. At 9.00 am, the ringgit stood at 3.8970/9000 against the greenback from Tuesday’s close of 3.9135/9165. A dealer said the US dollar index, which tracks the greenback against a slate of currencies, pared gains from previous sessions as Wall Street rebounded off its low, and this contributed to the higher ringgit. He said the sell-off across world stock markets sent investors rushing into the dollar on Monday, helping the greenback to trade higher. The ringgit was also traded higher against a basket of major currencies. It improved against the Singapore dollar to 2.9554/9588 from 2.9632/9657 and strengthened against the euro to 4.8276/8317 from Tuesday’s close of 4.8535/8580. The ringgit also rose against the British pound at 5.4394/4440 from 5.4762/4808, and appreciated against the yen to 3.5609/5646 from 3.5897/5934.